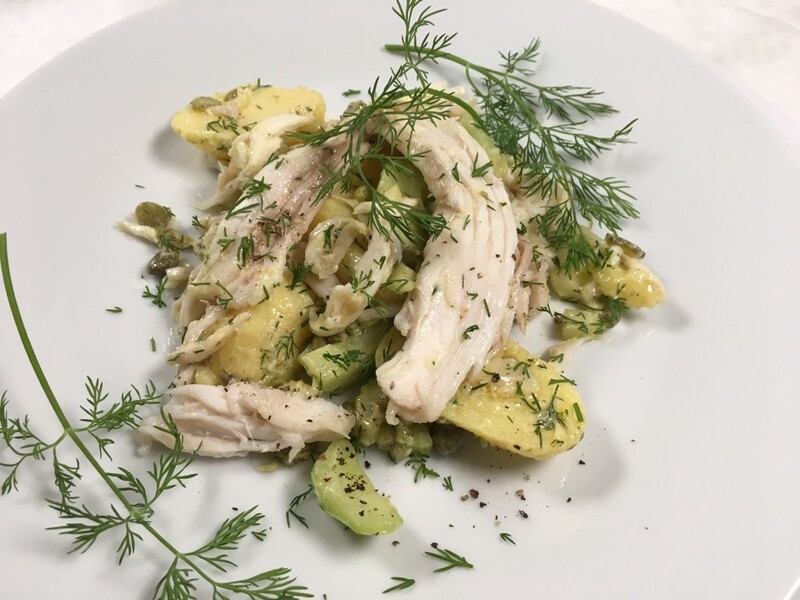 A cold fish salad, more often than not, involves salmon in some guise- hot smoked, cold smoked or just plain poached. Lovely as this is (and I have just posted a great recipe for cold salmon), it is good to ring the changes. 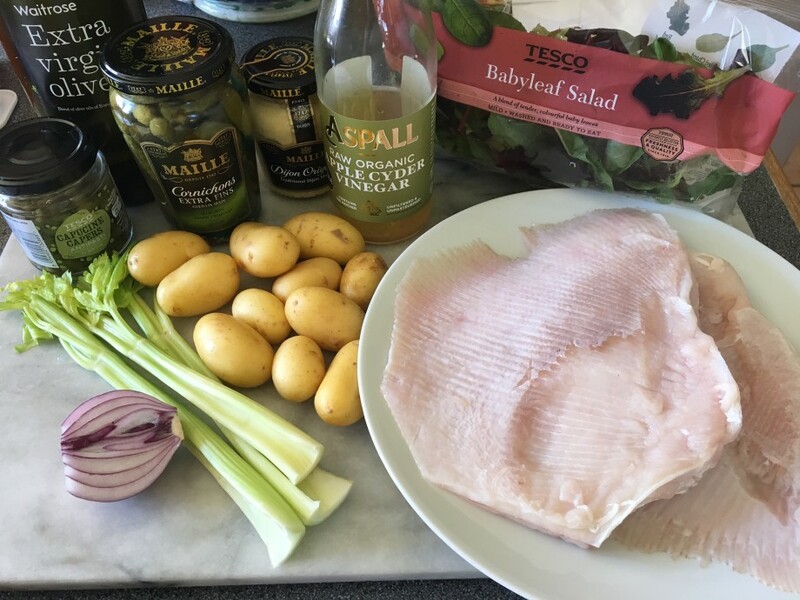 You may not be so familiar with skate wings (or ray wings as they are known now) but it is a delicious fish and easy to cook, despite its odd appearance. 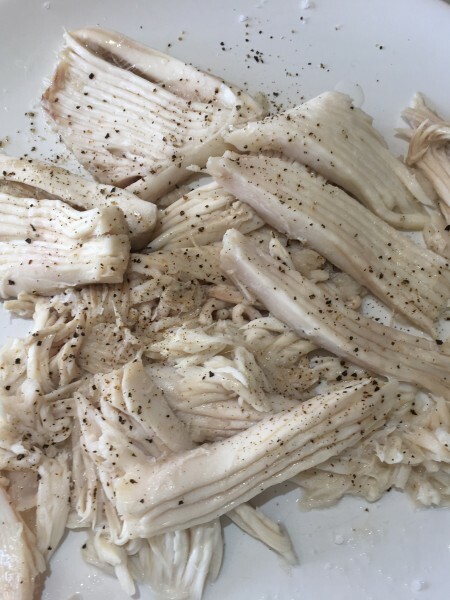 It will also appeal to those people who like fish but won’t put up with bones, as the flesh is very easy to separate from the cartilage/bone which runs through the wing. Put the potatoes in a saucepan of lightly salted water and bring to the boil. Turn the heat down and simmer for about 20 minutes until tender. Leave until cool enough to handle then carefully peel off the skins. Halve, if the potatoes are large, and place in a mixing bowl. Leave to cool completely. Whisk together the mustard, sugar, vinegar and oils. Season with a little salt and ground black pepper. Pour over the potatoes. 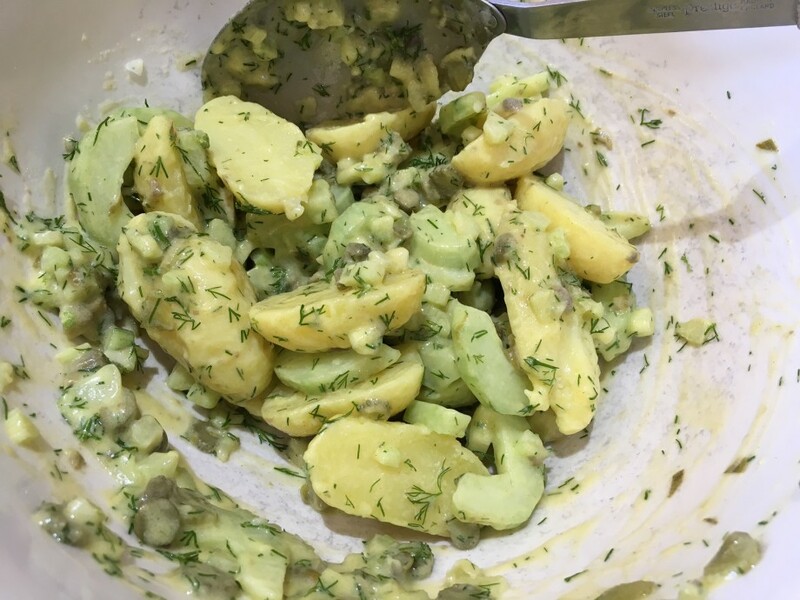 Stir in the celery, cucumber, cornichons, capers and dill. For the fish. Find a roasting pan will fit the skate wings in one layer. Pour in enough cold water to fill three-quarters of the pan. Add the peppercorns, shallot and vermouth. Bring to the boil then turn the heat down to barely a simmer. Carefully slide in the skate wings. Poach gently for 8 minutes then carefully turn the fish over and poach for a further 3 minutes. To test for doneness, you can gently prise the flesh off the bone. It should look opaque and lift off easily. 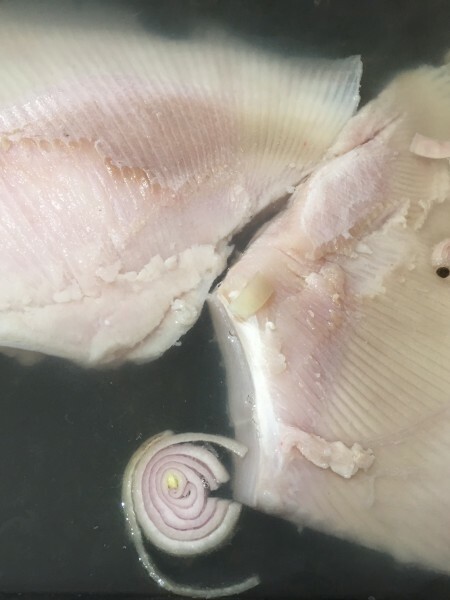 Lift the skate wings out of the poaching liquor and leave to cool for 5 minutes. Lift the flesh off the bone, trying to keep the skate in fairly big pieces. There are two sides, although one side always has more flesh on it. Leave the fish to cool then season well with salt and ground black pepper. Gently fold into the potato salad. Taste and season again if necessary. Serve with a few salad leaves.